The working group discussed food and nutrition problems and related issues in order to get together, share ideas and present possible solutions. The case of in vitro meat opened the debate,and talking about its environmental and animal welfare arguments for development got us thinking about the cultural aspect of food as well. The group concluded it to be not a solution to the excessive meat consumption, but a complement to traditional burgers, expanding consumer choices. However, the different food demands (kosher, vegan, etc) of present days can be seen as a threat, because of the sustainability issues and cultural aspects. Food becomes less of a bridge and more of a problem when in the same community/society there are different schools of thought and very different food demands. Insect eating was another issue that raised the debate on why food is such an important part of our cultural heritage, and got us discussing how it would be really difficult to change mindsets, and on it taking a number of generations to accept this practice. The present practices are unsustainable and we don’t believe this practice, needing such a long time to produce results, would be a primary solution for the environmental concerns. Shortly after I joined France’s Public Health team in October, I heard about Euronet mainly through CLISP (National Public Health Resident Association in France), and I was quite curious about European Public health Association. My name is Manon Burgat, I live in Dijon and I am a French resident. At the beginning, my main interest in Euronet meeting was to do a training course in a European Country and to improve my English vocabulary. But it turned out to be more than that. Euronet leaves its marks, physically (probably just the Nancy’s one) and in your heart. I am not going to write about the food poisoning, the disease we’ve all survived, the amazing people I met, the 2018 women’s day, the general assembly or the crazy nights we’ve spent. I just want to write you about Public health promotion. Public health promotion was the title of one of the working groups we had during Thursday morning. It was led by Damir, a Croatian resident. Only French people attended this working group, supposing public health had a poor reputation among French students. A lot of ideas were developed. We began our work with the premise that there is no common definition of“Public health”. What is it? What is the daily routine of a public health doctor? Do you define public health by quoting the different possibilities of work? In France for example, students don’t choose medical studies to be a public health doctor. They choose it to cure, to save, and to help patients. To study clinic’s. (Public spirit 🙂 ). The speciality is not well known, and it is just at the end of the medical school that French students start to think about choosing public health speciality. Furthermore, there is no public health work experience during the first years. And at the final exam, public health is one of the last specialty chosen. After this analysis, what can we do to make public health more glamourous or attractive? We can take for example a look at what they did in the United States. They had a campaign “this is public health “ created by the Association of Schools and Programs of Public Health in order to “brand public health and raise awareness of how public health affects individuals, families, communities, and populations”. In the US, public health is very attractive among students! 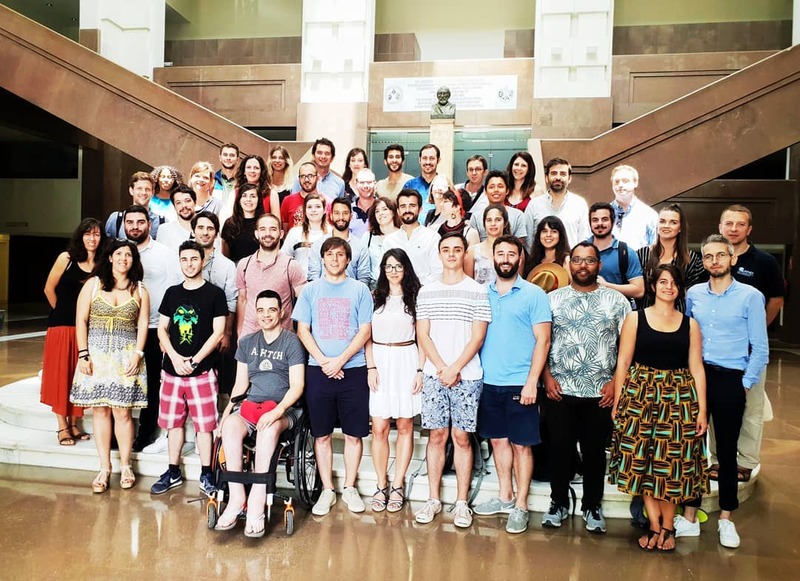 The challenge was not only to organize the next Euronet MRPH Winter Meeting in Lisbon, but also to create the first Medical Residents of Public Health Conference in just 4 months and with a very low budget! The Euronet’s Portuguese team was very enthusiastic about this idea, as the country has experienced an increase in the number of MRPH in the last few years; Lisbon is also now a very popular city for tourism and Portugal had not hosted a Euronet meeting since the end of 2014. Also, there was no better way to celebrate 5 years of Portuguese Euronet MRPH membership – a network that is also having an excellent year so far! 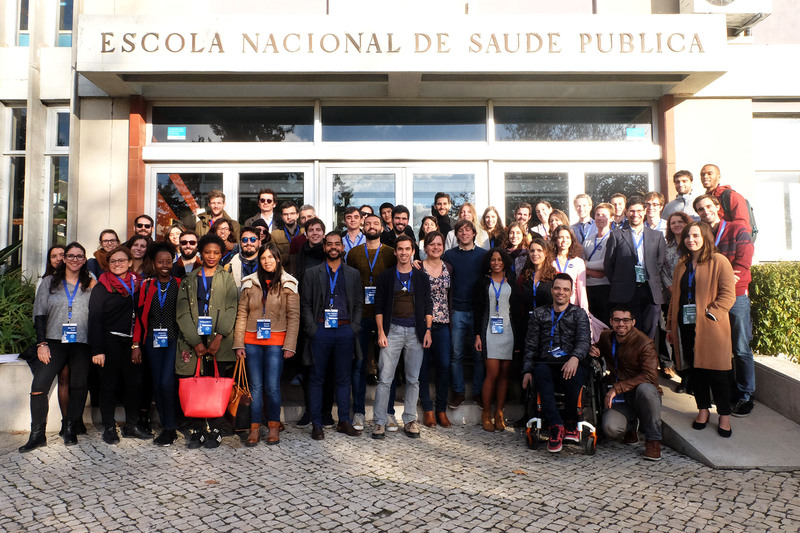 The YPHE – Young Public Health in Europe (Euronet MRPH Winter Meeting) took place in Escola Nacional de Saúde Pública/Public Health National School, from the 30th November to the 2nd December. There were 71 participants, from 9 member countries, of which 33 were Portuguese, making it the biggest meeting in Euronet history. The well-prepared, rich and detailed Scientific program was great! The first session on 30th November - “From data to knowledge” - presented the importance of using data, especially in the emergency field. This was followed by two workshops: one about communication, with a fascinating journey through high-impact communication and some key points when storytelling; the other workshop was titled “inside the mind of an epidemiologist”. A session on training and professional development in Public Health raised a very interesting debate, where questions and interventions from participants were welcomed. Other stimulating workshops included: the using of social media in research; how to get what you want from meetings; and drug monitoring and effectiveness. The quality of the workshops caused the young MRPH some difficulty when choosing between sessions! The 1st December was the highlight of the scientific programme: a session about how data will shape our cities from a PH perspective and then the last big challenge: “the elevator pitch”. Delegates were divided into small groups and tasked with looking for creative solutions for PH problems. It was an incredible adventure, every group prepared a 3 minute presentation. Some observations? Suffice to say, we loved developing HEALTH4ALL in this friendly, funny, amazing way. The afternoon provided the perfect opportunity to show so many of the 1st year MRPH the Euronet style and its pillars: networking, internship and research. However..…what would be a Euronet meeting without the social events? The social programme aimed to create strong bonds between Euronet’s members and facilitate cultural exchanges and discoveries. And because we were in Portugal, the programme was as “quente” as the weather! The first two social events occurred in the restaurants of Lisbon. During the first one, we listened to Fado, which is a popular kind of music with melancholy themes and strings instruments. The second night involved an European Public Health quiz! We split into mixed-country teams to try to answer the 30 questions and compete for the prize! (For the winning team: special thanks to Damir and the Croatian wine lovers.) Each event progressed to partying in the bars and clubs of the city. For the third social event, the nightlife was traded for a cultural visit to the neighbourhood of Belém, accompanied by two guides. We walked through Belém, learning about all its history: from the big earthquake of 1755, to the story of boats leaving the harbours to discover the world, expanding the Portuguese empire; from the story of the royal family to the presidential palace of today. And of course the history of the “pastéis de Belém”, that we not only listened to but also tasted! The consensus was that the 2017 Euronet meeting had been an enjoyable success. The choice of Lisbon allowed us to enjoy the sun and the Portuguese team did a fantastic job of organising an array of interesting speakers and workshops, information, lunches and other things. A lot of new faces joined the network in this meeting and we hope that more will continue to do so, to help the young European Public Health community flourish. Can’t wait to see 2018! This year EuroNet Summer Meeting was in the beautiful city of Motovun in the Istrian hills of Croatia. Our wonderful hosts were the Croatian EuroNet team and the Croatian Public Health residents, consultants and colleagues from across the country. Twenty-one EuroNet members attended from 8 member countries. The meeting was coupled with the Croatian National Health Systems and Health Policy Conference, which provided a great opportunity to network and exchange knowledge and ideas. Developing and building on existing partnerships was a key topic at the Summer Meeting. As EuroNet MRPH grows in size, we know that the partnerships we form and the work we can do with partner organisations becomes more and more important. One of the organisations we have a partnership with is European Public Health Alliance (EPHA), who will be organising a health advocacy workshop for us in Brussels on 28 and 29 September 2017. The workshop has proved hugely popular and is now full! A newly strengthened partnership is with the Association of Schools of Public Health in the European Region (ASPHER). ASPHER wants to reform the public health curriculum, by defining competencies a public health professional should have. We spent time discussing how competencies are integrated into the various European curricula. Furthermore, ASPHER had asked for a member of EuroNet to sit on their Executive Board and on their professionalisation committee: a great opportunity to further strengthen the relationship between ASPHER and EuroNet MRPH and work together more closely in future. Internships are one of the core areas EuroNet works on, acting as a mediator between resident and institution, promoting opportunities for residents and actively searching for internship institutions. Goals this year are to institute internship tutors, to do a follow up study of the past three years, to evaluate the past six months, to plan the next year and to get more national and international placements, so the working group have a busy agenda ahead! The EuroNet Platform launched during the Spring Meeting in Strasbourg is now LIVE and ready to go! The Platform is a unique new digital platform that gives residents the opportunity to collaborate on public health research projects. Visit the platform at www.euronetplatform.com. The meeting was an opportunity to hear from colleagues from around Croatia about the work they are doing and learn from them. We were really lucky to receive a talk from the Cochrane Collaboration Team and we also heard from Professor Stjepan Oreskovic on the issue of leadership, something that as a group we know is important area for us to develop during residency to be able to effectively lead and manage change within our organisations. Planning ahead: at the European Public Health conference in Stockholm this November we are co-organising a workshop with EuphaNXT and Young Forum Gastein about presenting a scientific work to a non-scientific audience. There will be two speakers; a journalist and a public health professional with experience in communicating with a variety of audiences and working internationally in public health. As you know, EuroNet has always been a place to make both work links and long lasting friendships, and the meeting provided plenty of opportunity to get to know each other better over delicious food and drink. As you may have read elsewhere on this website, EuroNet members meet each other face to face three times a year to exchange experiences and ideas and to make sure the network keeps running smoothly. The 2017 Spring meeting took place in Strasbourg, France. What made this meeting extra special was the launch of EuroNet Platform, a unique new digital platform that gives residents the opportunity to collaborate on public health research projects (see www.euronetplatform.com). This launch took place on Friday morning in an equally unique location: the European Parliament in Strasbourg. After the launch, there was a tour of the Parliament, to give those with political aspirations their very first taste of Europarliamentarianship. Friday afternoon was filled with interesting lectures by various public health professionals from Strasbourg University. On Saturday, we had our General Assembly and we worked on the various EuroNet MRPH working groups. You can read all about these working groups elsewhere on this website. Two very full days indeed! Luckily, fun is also an important objective of EuroNet MRPH, and so there was enough time left in the program for tarte flambée, sauerkraut, wine and French karaoke. Pictures of this part of the program will remain in an undisclosed location. Would you like to know more, or come to a meeting yourself? Contact us at mrphnet@gmail.com.